Why do we practice mass shooting safety? Laws regarding rapid dismissals and safety drills have every school administrator wondering why there have to be so many disruptions to the educational process. As we all know already, there isn’t enough time in the day to accomplish the tasks we set out to do. 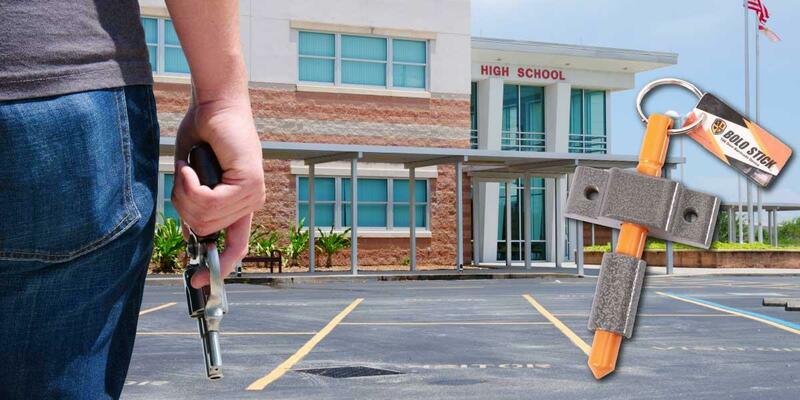 School Safety Drills and Rapid Dismissals have become mandatory in the hopes of creating a “procedural memory” response to quickly evolving emergency situations. The more you practice, the better you get. How does stress affect our fine motor skills? Okay, so we all know how to walk single file out of a classroom, down the hall, and out the nearest exit. The problem is that we don’t truly know if we can actually perform these simple tasks under high stress conditions. Normally, you perform fine-motor skills like tying your shoes, manipulating keys or small objects, and dialing a phone without even thinking twice. That’s because your heart is pumping in the range of 60 – 80 beats per minute (BPM) and all body parts are receiving an adequate level of oxygenated blood to perform their specific function. Enter the stressor. Imagine the sound of the fire alarm, the smell of smoke, or the identifiable sound of gunshots. Instantly, your Sympathetic Nervous System (SNS) is activated and begins preparing your body for survival. The activation of the SNS is automatic and virtually uncontrollable. It is a reflex triggered by the perception of a threat. Once initiated, the SNS will dominate all voluntary and involuntary systems until the perceived threat has been eliminated or escaped, performance deteriorates, or the parasympathetic nervous system activates to reestablish homeostasis. 1. In less than a second, your heart rate increases to 200 BPM as adrenaline is dumped into your bloodstream. Blood is funneled to your large muscle groups to protect against the perceived threat to survival. This allows for increased strength and the ability to perform gross motor skills such as running away from a threat. Conversely, blood is pulled away from the extremities (in an attempt to reduce the bleeding from wounds) where fine motor skills are utilized. The end result is that you may still be able to run or throw objects but you will have great difficulty in thinking clearly, manipulating keys, or attempting to send a text message for help. The mandatory safety drills provide the benefit of providing a rehearsal for “just in case” scenarios. Just as rote memory allows us to recall meaningful material in the classroom, repetition provides the opportunity for us to succeed in times of high stress by not having to think about the actions we are trying to perform. In short, we will unconsciously do what we trained to do in a high stress incident through procedural learning. Sure, we would all like to have more time in the day to accomplish our required tasks, but practicing our safety drills allows us to ensure many more days for all of us to enjoy.